A kinetic interactive video installation. Opposites Attract adresses the attraction and frustrations, which is as old as human beings exist, between the two sexes. 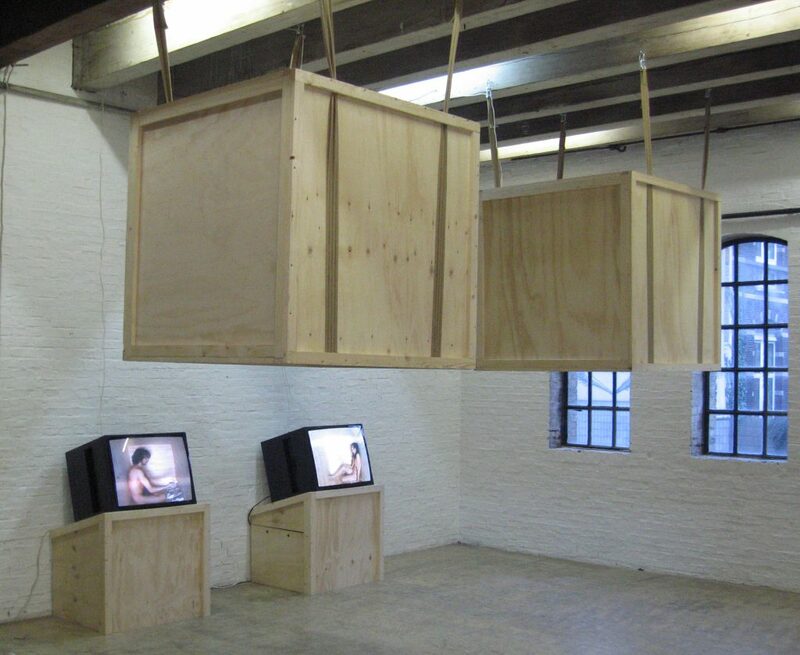 On two screens a naked man and a naked woman are shown who are locked into a wooden box. They vainly try to connect to each other by knocking on the walls of their own box. 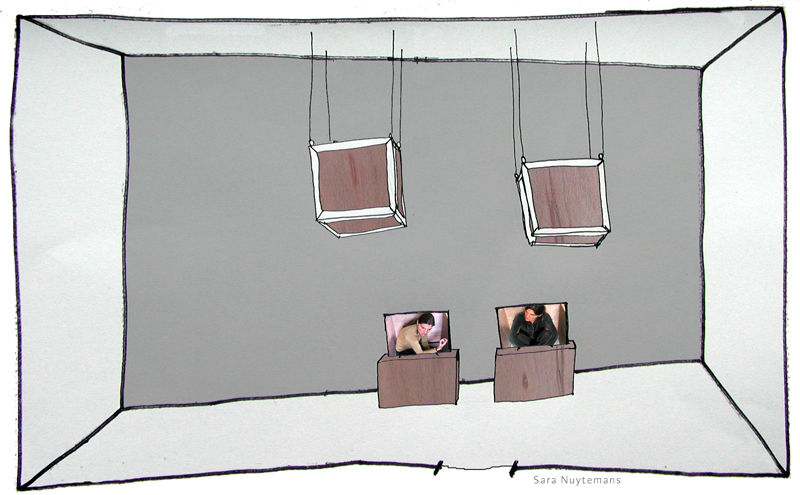 On the opposite side of the screens two big wooden boxes are suspended, from where synchronated knocking sounds emanate. The sounds give the impression that the videos are from a live registration (security cameras). So it seems that the man and the woman are really locked up in the boxes. 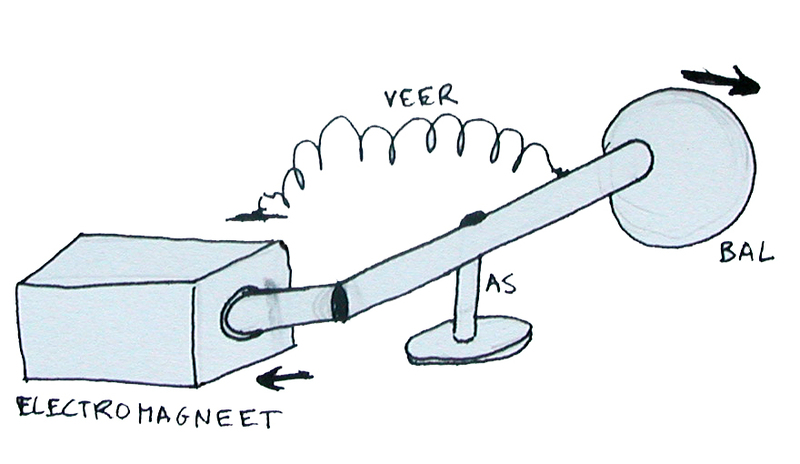 Note: the sounds are generated by mechanical knocking machines and therefore the knocking sounds real.